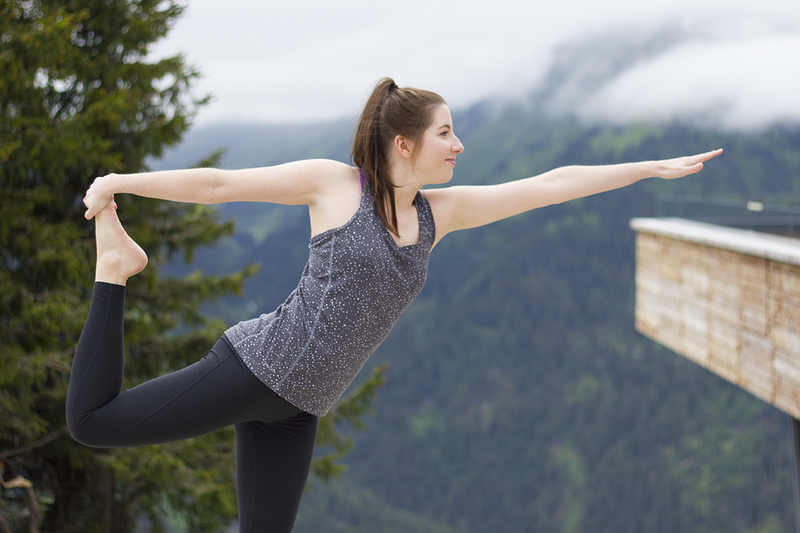 In our jam-packed itinerary for summer in St Anton, I spotted we were going to be partaking in a morning yoga class to kick start the day. I’ve never practised yoga before but I thought it really can’t be that hard if people do it to relax and unwind. No biggie, right? I can wing it. Until the morning of our yoga class, when it was announced that we’d be heading up to the mountain to our class with a group of locals, as well as… wait for it… a local TV news crew! Ah, right then. With the added pressure to pull off some convincing yoga poses whilst a TV crew zoomed in on my face, I somehow managed to make my way through an hour long yoga class without looking like a complete newbie. I’m definitely not flexible. I’m 100% still the girl who forgets to stretch before & after a (rare) gym session. But I picked up a few tips from the other people around me that really helped me wing it in my first ever yoga session. So if you haven’t ever been able to touch your toes without keeling over (did I mention that I lack balance? ), listen up! 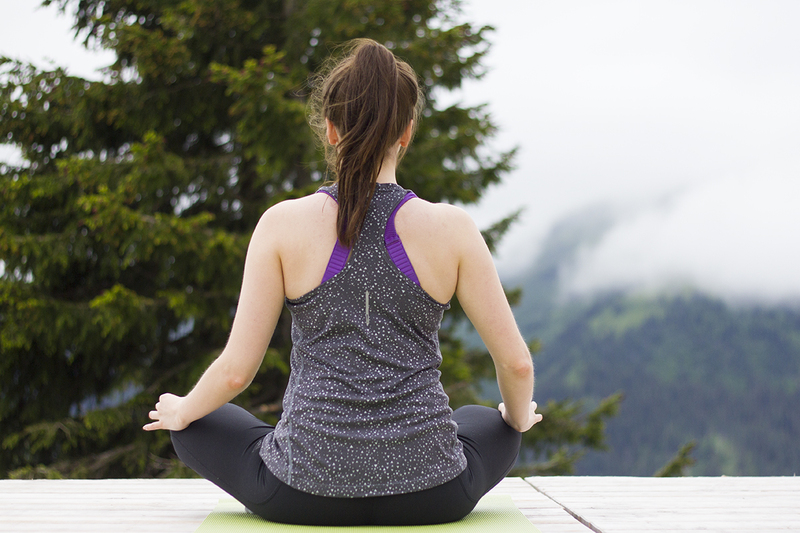 If you’re going to get yourself into your most zen-like state, you need to be comfortable. Some people prefer looser clothing, some prefer tighter. Personally, I find leggings and a loose vest top to be a winning combo. It’s much harder work than it looks though, so wear light clothing that won’t make you too sweaty! I didn’t even throw this one in as a joke. When you’re trying really hard to hold a pose, then move from that pose to another and then hold it, you’ll probably realise you’ve barely been breathing. Breathing is so important in yoga and your yoga teacher will always encourage deep breaths. By practising long, deep breaths, you will find yourself becoming much less distracted and much more at ease. It also helps rid you of those first time yoga class nerves! If you’re going to your first yoga class with a more experienced friend, grab a spot close to or behind them, so you can watch them for guidance. 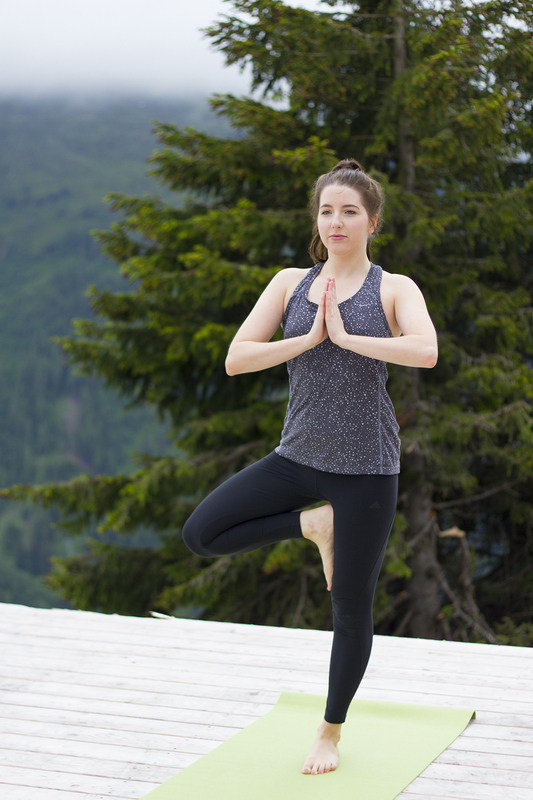 It’s very easy to get lost in a faster paced yoga routine and lose focus of what pose you’re supposed to be doing. Watch your yoga teacher if you can, but if they’re circling the room, it’s always good to watch someone more experienced for guidance. That being said, don’t expect to waltz into your first yoga class and instantly be able to touch your toes or hold your poses for hours. It’s all about building up your flexibility and strength. Do as much as you can but don’t pain yourself trying too hard. 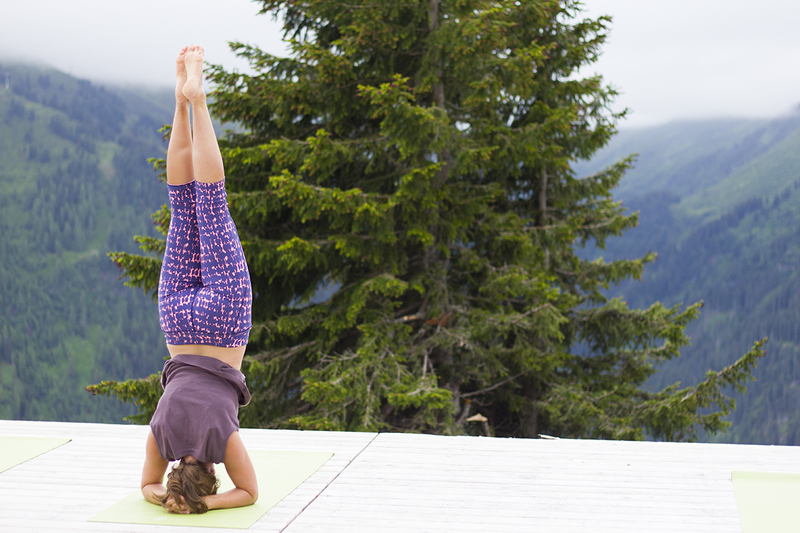 Yoga is not about winning, it’s about self-improvement with time and practice. Plus you definitely don’t want to pull a muscle mid-class! Despite the relaxing Savasana at the end, where you lie flat on the floor and try desperately to stop thinking about tiny meaningless little things, your first yoga session might not leave you feeling as zen as you expected. It’s actually really tiring, as much as 20 minutes in the gym would be, and it can be difficult to maintain your deep breaths and calm mental state whilst learning a whole new set of moves. The more you practice though, the more you’ll find it easier to switch off. Have a sneak peek at my first ever yoga session in the video above! 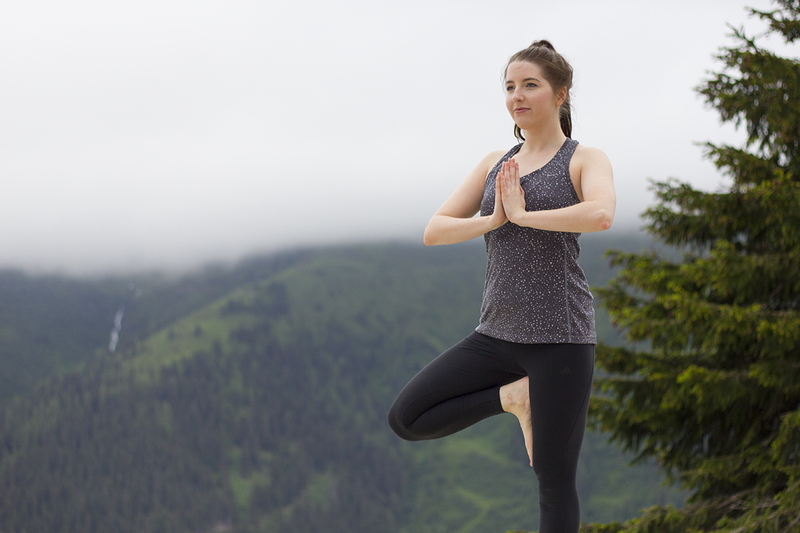 Filmed by TopDestination.tv for the Mountain Yoga Festival, which will be taking place in St Anton from 1st-4th September – more details here. There’s a few shaky moments captured on film, but overall I think I managed to wing it! Have you ever tried yoga? Let me know if you have any more tips to add!